An idea for a new medical device for foot pain surfaced when podiatrist Dr. Patrick DeHeer suffered from posterior tibial tendonitis - a common foot and ankle problem - after taking up running. Since traditional treatment options weren't efficient or effective enough, DeHeer and his partners formed IQ Med LLC and developed The Equinus Brace. An idea for a new medical device for foot pain surfaced when podiatrist Dr. Patrick DeHeer suffered from posterior tibial tendonitis - a common foot and ankle problem - after taking up running. Since traditional treatment options weren't efficient or effective enough, DeHeer and his partners formed IQ Med LLC and developed "The Equinus Brace(TM)." DeHeer initially tried everything to alleviate the pain, including a commonly prescribed night splint. "You need to wear them all night and they're not super comfortable to sleep with. Patients are always complaining about waking up with them," commented DeHeer, a Westfield, Indiana resident. "I consistently woke up in the middle of the night while sleeping on my side with my knee bent. I realized the night splint wasn't doing anything, because to effectively stretch your calf muscle, you have to have the knee fully extended. That's where I came up with the idea for 'The Equinus Brace.'" After DeHeer's experience with night splints, he began working to create a better brace. 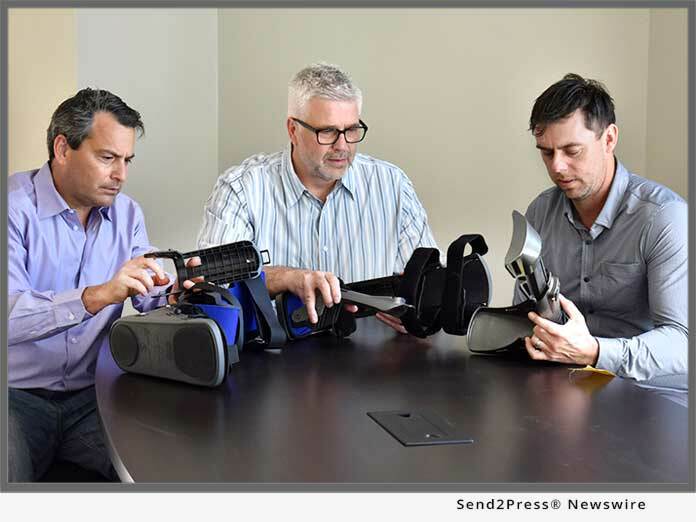 Nearly five years later, he created "The Equinus Brace(TM)" with Carmel, Indiana residents John Moorin (owner of another medical distribution business) and Ricky Heath (a long-time executive in medical devices). The Equinus Brace(TM) helps Achilles tendonitis, plantar fasciitis and over 30 other foot and ankle disorders. The name is based on equines because horses often walk on their toes. Likewise, many humans lean too far forward when walking, causing multiple foot and ankle disorders. "As humans, we have consistently tight calf muscles, which results in about seven million foot and ankle injuries a year. One billion dollars a year is spent surgically and non-surgically just to fix plantar fasciitis alone," said Moorin. A doctor typically sends a foot or ankle patient to a physical therapist, who usually gives them a night splint or shows them several basic stretches. The likelihood is that the patient won't do the stretches properly or as often as needed. This lack of compliance is what leads to ineffective treatment, explained Moorin. The Equinus Brace(TM) solves the problem of compliance by only having to be used one hour a day (unlike night splints). It's also a much better way to stretch the two calf muscles - the gastrocnemius and soleus - which is critical for proper treatment and long-term results for plantar fasciitis, Achilles tendonitis and other disorders. Medicare covers The Equinus Brace(TM), as do nearly all insurance companies. A shorter brace, The Equinus Brace(TM) 2.0, became available in June for children and smaller adults. For more information, visit https://www.fixequinus.com/. Contact: 1-855-GO-BRACE (1-855-462-7223) or contact@iqmedcorp.com.